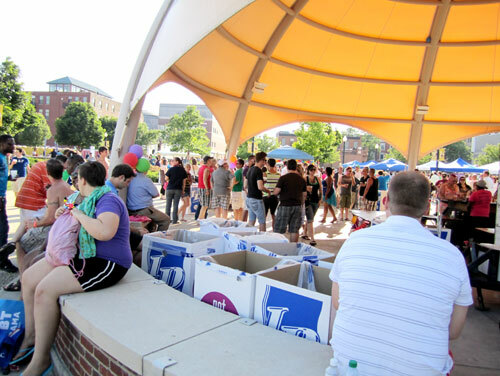 Rainbow bunting and beautiful blue skies greeted thousands of festival goers at Kalamazoo Pride June 9, organized by the Kalamazoo Gay & Lesbian Resource Center. 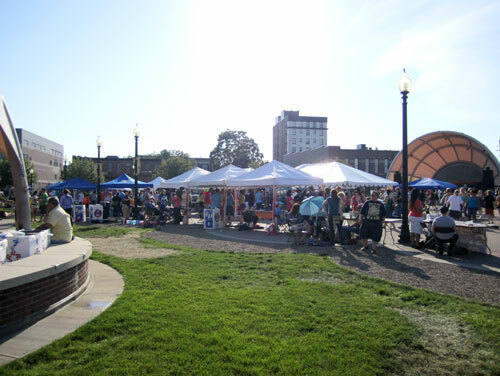 In addition to the vendors, food, music, fun and entertainment, the festival had an activist intensity as dozens of volunteers collected signatures in preparation for the elections this fall. 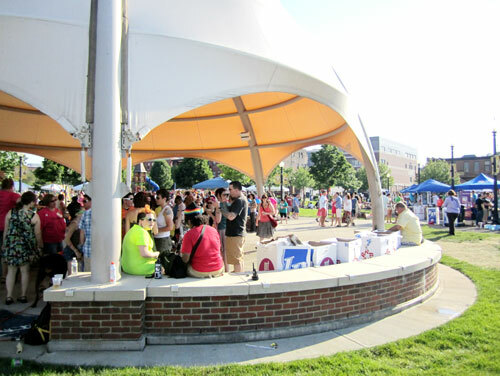 Zach Bauer, executive director of the KGLRC, reported that over 11,000 people attended the festival at Arcadia Park in downtown Kalamazoo, up from the 7,500 that attended last year. 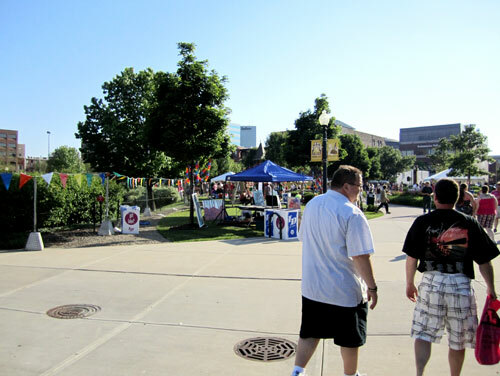 There were 180 vendors, 175 volunteers and the festival raised over $80,0000 for KGLRC. 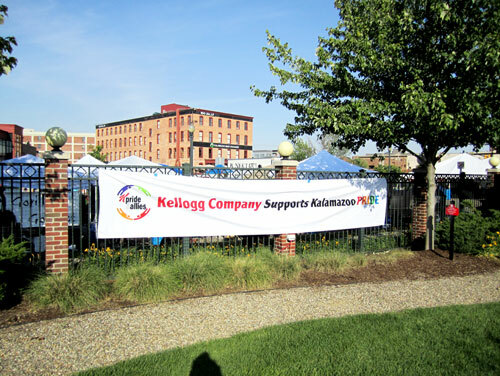 Kellogg’s and PNC Bank were two large, corporate participants and sponsors. 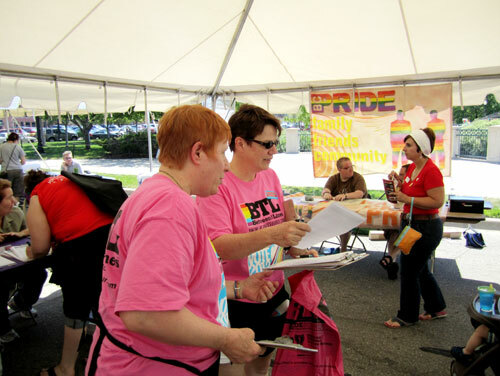 The Kellogg’s booth was busy all day handing out treats and engaging people to learn more about K-Pride, the LGBT employee group at Kellogg’s. Two local activists were honored on stage. The Terry Kuseske Memorial Scholarship was awarded to Mariah Isaac, an annual award given to a graduating high school senior who plans to attend college in Michigan. Isaac is an active member of the GSA at her high school. Sara Stangl was also recognized for her work with LGBT students at Western Michigan University’s campus and their effort to have the Michigan Legislature issue a Pride Proclamation. 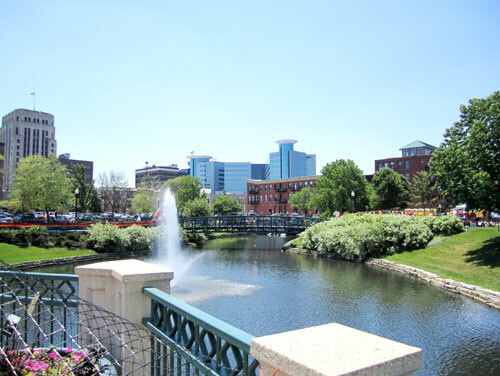 When House Speaker Jase Bolger (R-Marshall) and Rep. Margaret O’Brien (R-Portage) and Sen. Tonya Schuitmaker (R-Kalamazoo County) would not sign her proclamation she led a petition effort with over 1,000 signatures. The day started out with a politically themed Pride Brunch with speakers Emily Dievendorf, policy director of Equality Michigan, and Amy Hunter, chair of the Kalamazoo Alliance for Equality and president of the Equality Michigan Pride PAC. 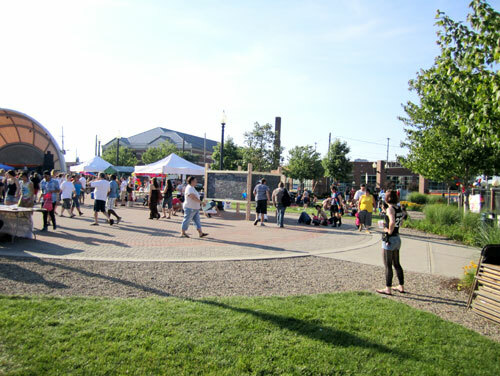 Attendees included Kalamazoo Mayor Bobby Hopewell, several city commissioners, and Trevor Thomas, openly gay Democratic candidate for the U.S. House of Representatives, District 3.